The Architectural Salvage collection of Bruce Laminate flooring offers a variety of gorgeous floors. Each floor is 12mm thick and 7.59 Inches wide. 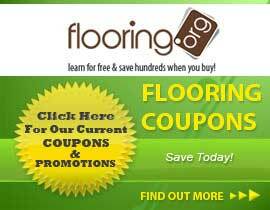 Install this floor today! Each plank is 12mm thick with micro-beveled edges on all 4 sides to mimic a real hardwood floor. A 50 year residential warranty and a 10 Year Commercial Warranty from Bruce reminds you that you have the protection of a big name behind your new laminate floor.